Hello and again thank you for taking the time to look through our website, my name is John Wilson and Kent Coins started as a simple website to sell some of my own personal collection of coins and tokens built during my childhood, it quickly became apparent that there was a significant gap in the market for an outlet providing lower priced coins and collectibles for the discerning hobbyist on a tighter budget, the only alternatives seemed to be big “faceless” auction websites. 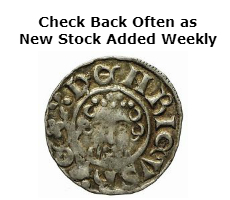 We started out stocking only early British and Roman coinage but quickly grew into other avenues becoming almost unique now in our diversity of products and ability to change quickly to our customer’s preferences. We are a quintessentially British company and strive to go above and beyond in our service to all of our customers and clients. 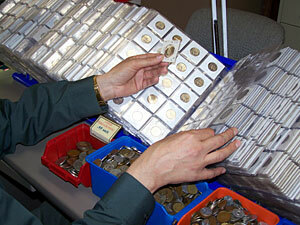 Our aim is to give you the service that I would want myself from my “Perfect Coin Shop” from our ever popular free of valuation and identification service to catering for any specific item you may be looking for. We hope you will find something of interest or gain some knowledge from the website if you are just starting out in this fascinating hobby! Where do we source our stock? Our stock is sourced from a variety of places, the majority is bought from collections and finds bought from our valuation service but some stock also comes from online outlets (Facebook, eBay and similar places) and by me diligently trawling the tables at bootfairs and fleamarkets on the weekends. We would love to hear from you if you have any enquiries, questions or would like to contact us regarding an appointment to value your items.